The 2018 Golfweek Player of the Year has earned a spot on the LPGA Tour. Alabama golfer Lauren Stephenson from Lexington finished the marathon LPGA Q Series qualifying tournament in a tie for eighth place. “There are truly no words to describe this feeling! A dream come true,” Stephenson posted on her Twitter page. Stephenson finished the qualifying tournament at 5-under par. Jeongeun Lee6 from South Korea won the tournament with an 18 under par total for the 144 holes. The top 45 players in the 8-round tournament played at Pinehurst will have full time status on the Tour starting in 2019. 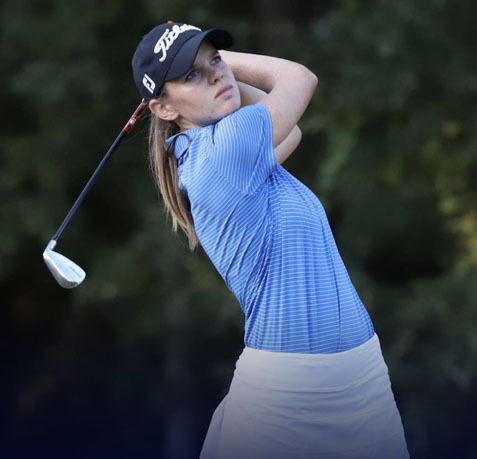 In addition to Stephenson three other golfers with South Carolina connections also survivied the new way of qualifying for the women’s Tour. 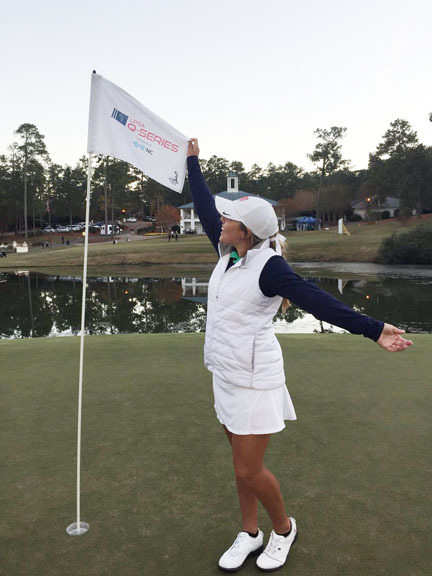 Sarah Schmelzel, a 2016 South Carolina grad, led the tournament going into the final round. The former Gamecock golfer finished in third place. Katie Burnett, a 2012 USC grad, earned her Tour card with a tie for 15th place. Kristy McPherson. who was the SEC Player of the Year while at USC, finished in a tie for 27th place to advance. The three South Carolina grads have all been playing professionally, but Stephenson played in the Qualifying tournament as an amateur. The winner of the 2018 Golf Stat Cup for finishing the season with the best scoring average is halfway through her senior year at Alabama. The LPGA has a special provision for college golfers who qualify for the Tour. A golfer may delay the start of her professional career until after the completion of her spring college season. Stephenson recently told the golfchannel.com that she expected to turn pro if she finished in the top-45. “I came here pretty much knowing if I got LPGA status, I would leave,” she told the website. “I’ve only got two classes left to graduate this spring. I’ll finish them up online. It’s not like I’m not going to graduate.” said the Alabama senior. Golfers who played in the Q-Series but did not make the top-45 can receive Symetra Tour status for next year. The 2017 SEC Player of the Year Katelyn Dambaugh from USC finished in a tie for 61st. Two golfers with Furman connections also played in the Q-Series. Laura Wern finished in a tie for 84th and Taylor Totland finished in a tie for 93rd.